OPERATIONAL STATUS: ON THE AIR!! 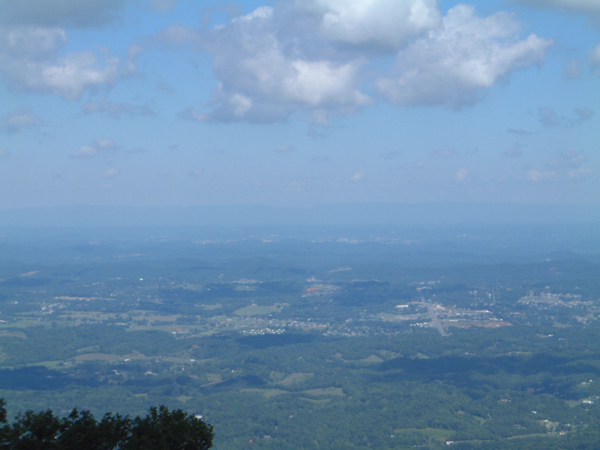 Bluff Mountain, also known as "Greentop," just outside Pigeon Forge, Tennessee. From Tim, WB4GBI: " For those of you who are recent additions to our great hobby, you might not know that the 146.94 repeater was the very first 2-meter repeater in East Tennessee. Its history is that of great and continuous service. I am VERY proud to be carrying on the tradition started by George, K4HXD, who was the creator and founder of this repeater. We lost George in 1995. He was of my mentors." currently on the air in East Tennessee, and celebrates its 50th Anniversary in 2017! In addition to our in-depth investigation into the history of this machine... we have uncovered a few tidbits of this history. You can see the fruits of this effort on the newly created HISTORY PAGE of the 146.940 Repeater! Simply click HERE to check out the History Page! 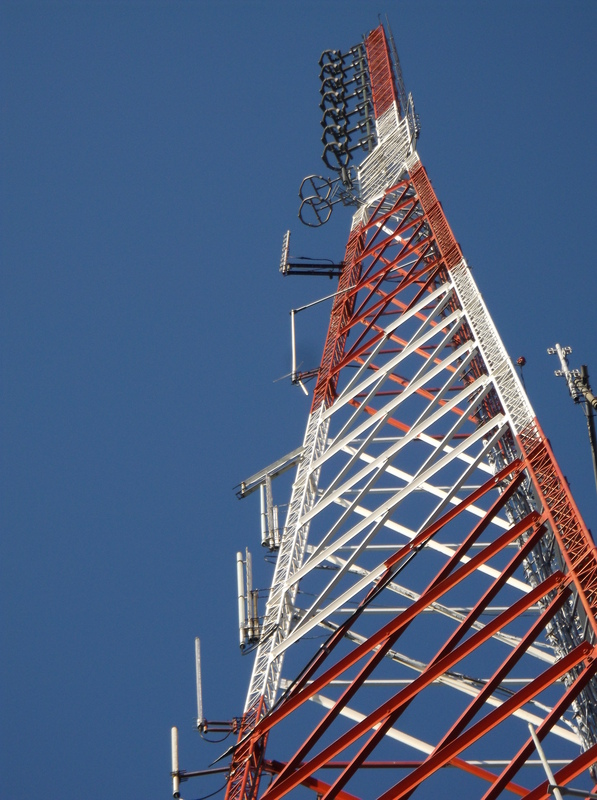 This wide coverage repeater is located on the same tower as the commercial FM station WIVK, 107.7 FM. This radio station, licensed to Knoxville TN, has a very wide coverage area, which encompasses the majority of Eastern Tennessee, from Bristol to Chattanooga. So, if you can hear this frequency on your regular FM Broadcast radio, you can most likely also hear this repeater! As everyone knows, it isn't how far a repeater can transmit a signal that makes it a good repeater... it's how well it can copy a low power station, to repeat it's signal that makes it a great machine! Many thanks to WIVK for their use of this facility! In addition to the coverage benefits of being co-located with it's "Tower-neighbors"... this repeater site also has many other benefits as well. Since WIVK is the primary EAS Station in east Tennessee... there is ample emergency power for use during power failures, for whatever reason. This makes the 146.940 machine a very important part of the emergency communications infrastructure, regarding amateur radio. This repeater is the primary relay for SKYWARN in east Tennessee, where weather spotters can contact the National Weather Service, directly, during inclement weather, to officially log in unusual weather observations. 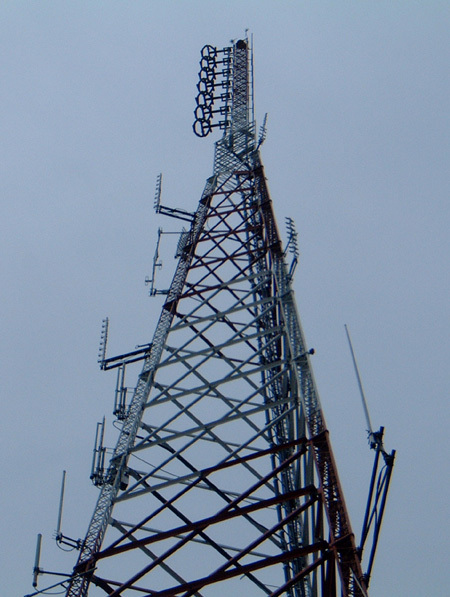 It is also used as the primary repeater for METERS, an EMCOMM group serving the Middle East Tennessee area. It is also used by other groups for emergency communications, due to it's wide coverage area, and it's reliability! This repeater combination was placed in service in February 2014. It replaced a Motorola "Micor" repeater which George, K4HXD, had constructed in the 1980's. 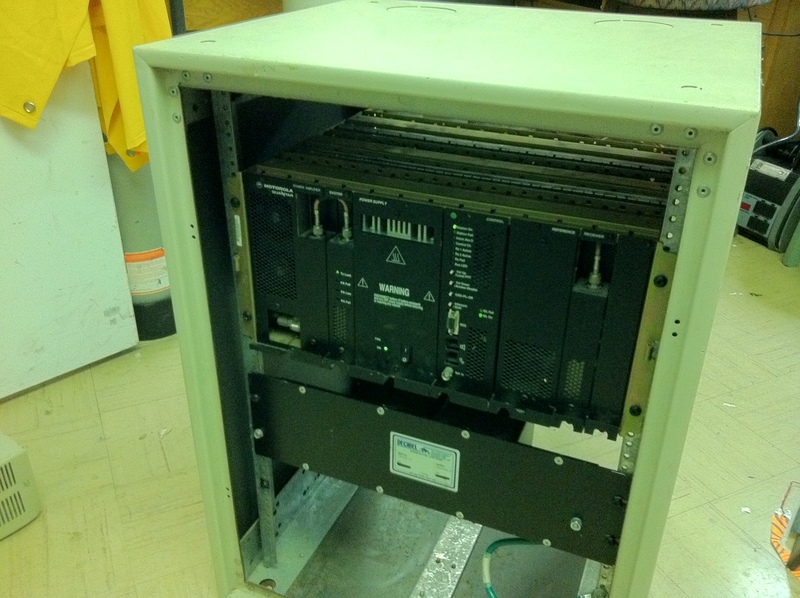 The Micor repeater is being refurbished, and may return to the air again soon! The 146.94 repeater celebrates its 50th Anniversary of service in 2017! The Front cover of the November 2017 SERA Repeater Journal features the 146.94 tower site. The 50th anniversary article is the "Guest Column" inside. You can read the entire article here. A brief history of 146.940... 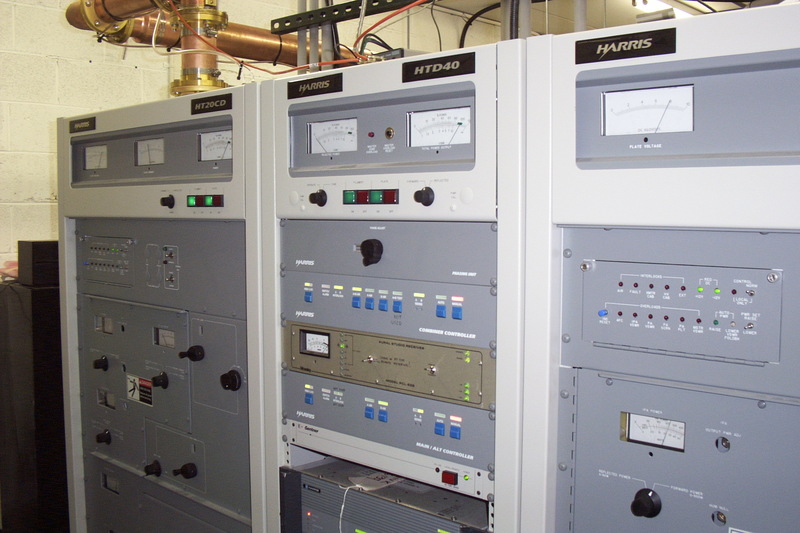 The 146.940 repeater is the oldest and original repeater on the air in the Middle-East Tennessee area. 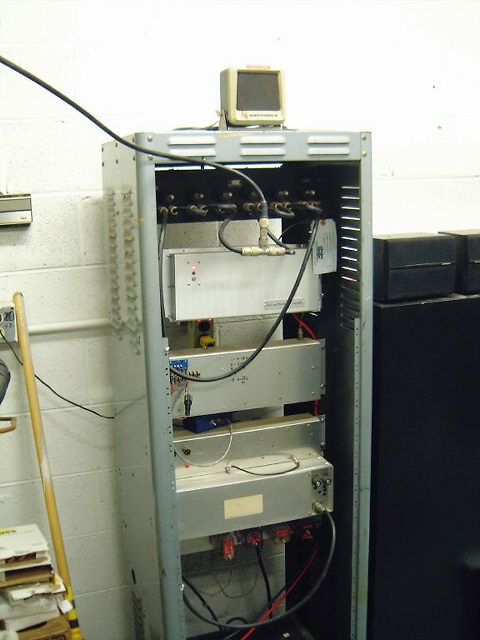 After consulting several long-time amateur radio operators, and compiling information about this repeater's history, it has been determined that the 94 machine went on the air in 1967. 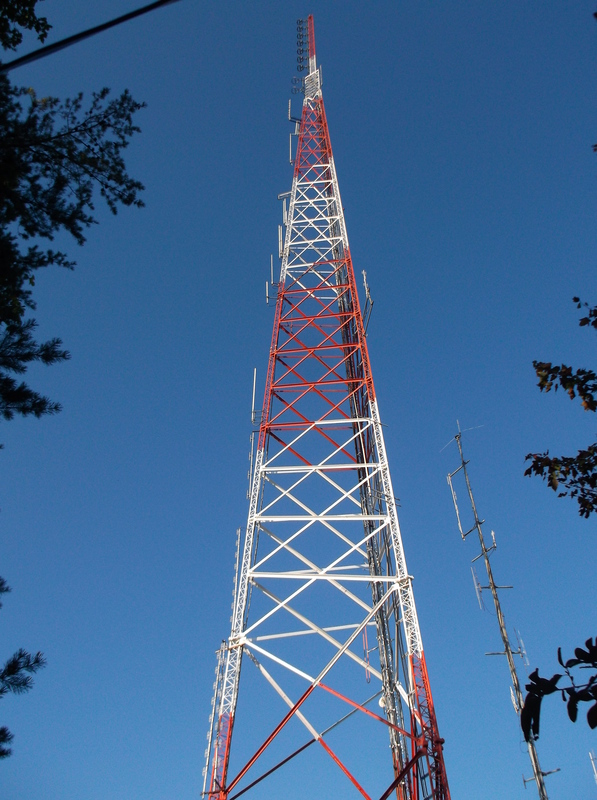 George Shaver, K4HXD, placed it on the air at a State of Tennessee tower site on top of Chilhowee Mountain in Blount County. It remained on the same mountain top (moving to an adjacent tower site) site until George sold the repeater to Tim Berry WB4GBI in 1985. 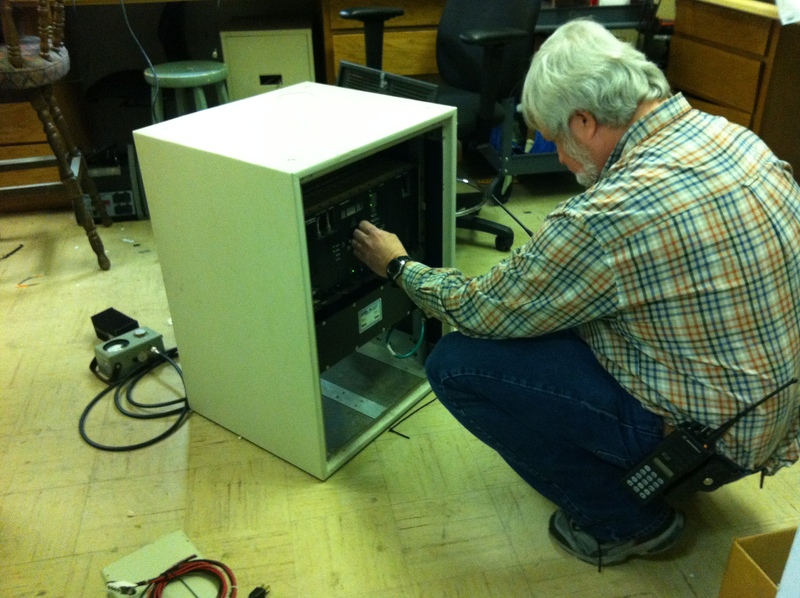 Tim moved the repeater to the now-146.625 site in 1986 where it remained there until 1998 when it moved to its present home at the WIVK-FM transmitter site. Incidentally... Tim's first experience with 146.940 repeater was accompanying George on a repeater maintenance trip... that was waaaay back when Tim was only 16 years old! This is a full-length photo of the 146.940 repeater. 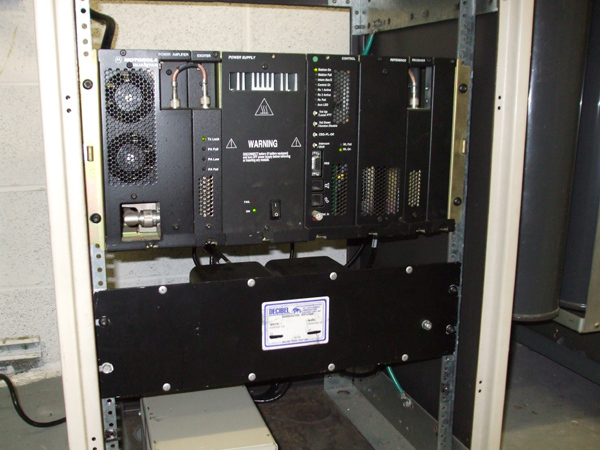 From top to bottom: The Computer Automated Technologies CAT-260 repeater controller. Just below the controller is the Motorola MTR-2000 100 watt VHF repeater. At the bottom of the cabinet is the Motorola CDM-300 control receiver and its associated power supply. The photo to the right shows the repeater and duplexer to the left of Tim, WB4GBI. 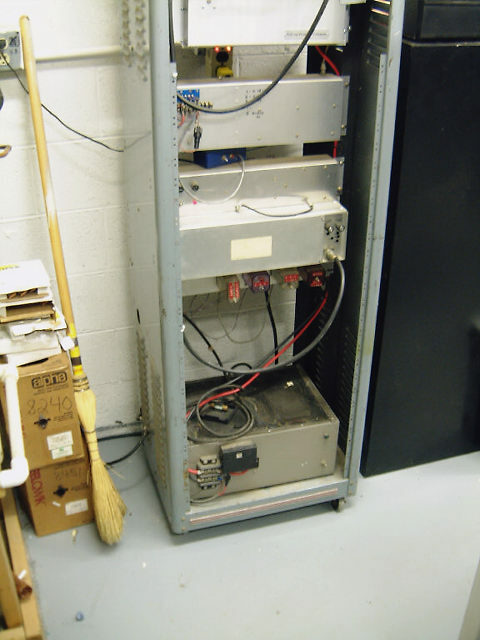 The celwave six-cavity duplexer is to the right of the repeater cabinet. The WB4GBI 444.300 repeater is shown in the far left of the photo. This repeater location is probably one of the best sites in all of Eastern Tennessee, as you can almost see every inch of the Tennessee Valley - which makes up the majority of the eastern third of the state. The footprint of this repeater is absolutely unbelievable, as folks have been known to converse with hams all the way from Virginia, Kentucky - and in some cases parts of northern Georgia - all from this machine!! 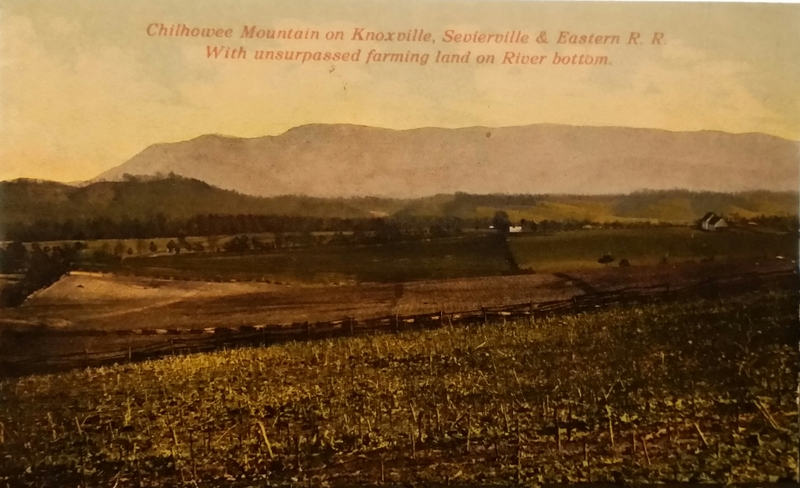 (Notice the Seymour community in the lower-right... with the city of Knoxville in the Distance) Thanks to Todd, KA4OAK, for the use of the postcard!! Click on the photos for a larger version! OPERATIONAL STATUS: ON THE AIR! New repeater receiver installed 4-25-2018. PLEASE NOTE: CTCSS decode tone of 118.8 Hz is now active. Please program your transcievers to ENCODE a 118.8 Hz tone. COMING SOON: Allstar is coming to 444.300! Allstar Node 49616 has been assigned to the 444.300 repeater. The internet interface and audio interface have been purchased and are being programmed. Please check back here or on WB4GBI's social media pages for updates. The 444.300 machine is a combination of Motorola Micor and General Electric (GE) MASTR II equipment, and a Vocom products commercial grade 100 watt continuous duty power amplifier (PA). In the photo on the LEFT, you can see a close-up view of the 444.300 machine. The power supply is installed at the bottom of the rack. The Motorola "Spectra Tac" receiver is mounted in the rack, above the Simrex receiver preamp and the hombrew controller. The CW ID unit sits on top of the receiver. Next up, is the GE MASTR UHF exciter in a homebrew enclosure built by K4HXD. 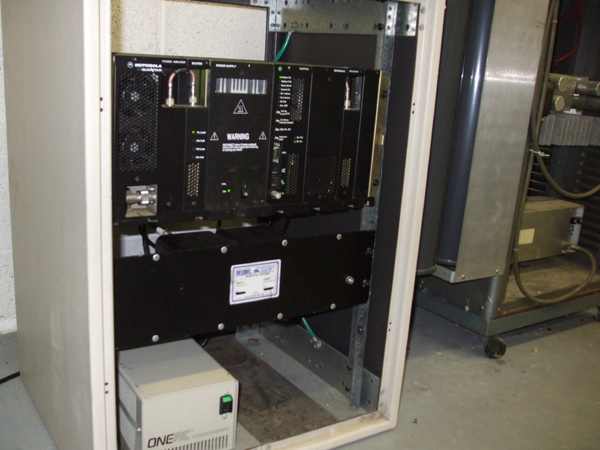 Closer to the top of the rack is the Vocom Products 100 watt UHF continuous duty power amplifier. The Celwave PD-526-4 six-cavity duplexer is at the top of the rack cabinet. 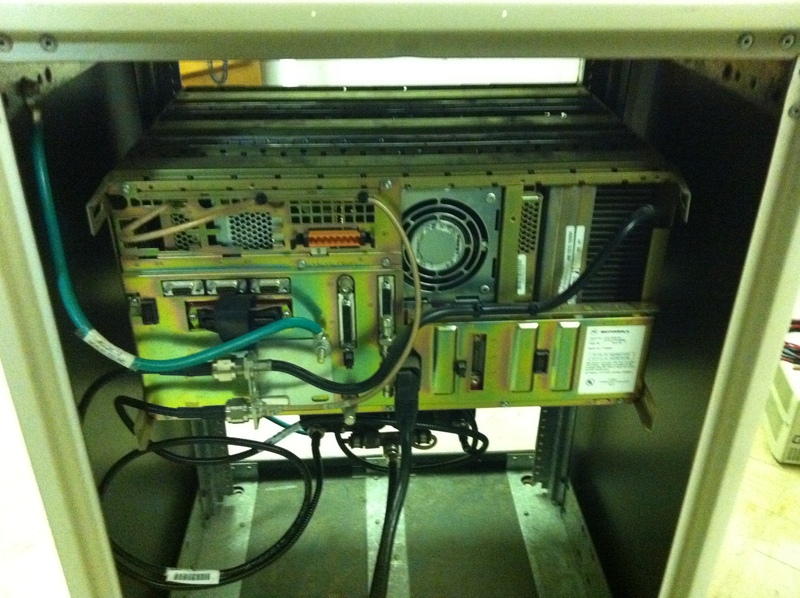 Below is a photo of the rear of the repeater cabinet. OPERATIONAL STATUS: ON THE AIR! For those of you who have one of the Motorola MCS2000 radios that were purchased in the Knoxville area recently, you can find my 900 Mhz repeater frequency by selecting "ATL 0625" in the first zone of programming. There is a repeater in downtown Atlanta that is on this same frequency and PL tone. I picked this frequency and tone combination on purpose, as it is already in the MCS2000 radios that I have programmed. This is one channel above the "NFARL" channel that Kevin's (W4KEV) repeater is on. Or, you can contact me and I will make arrangements to re-program your radio for you. the great lakes area, to East Tennessee! as all 900 Mhz repeaters are tone-squelch machines. with the internal high stability oscillator. commercial radio station WIVK-FM 107.7! and the machine delivers 80 watts out of the duplexer to the antenna. The antenna, by the way, is installed at about 120 feet up the tower, and was a leftover gift from a paging company when they moved to a different location. who have the proper equipment. The inside-front of the cabinet.